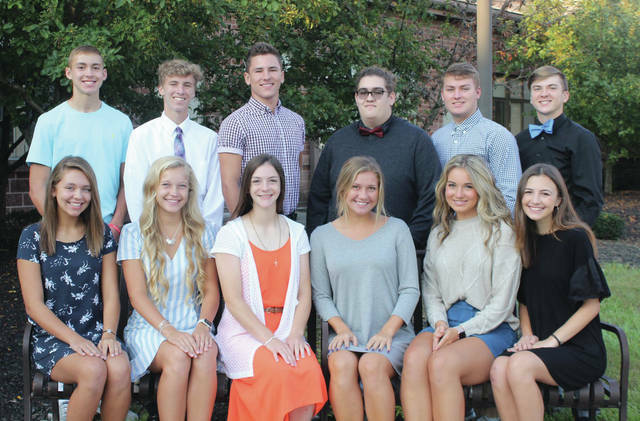 Provided photo This year’s Tippecanoe High School Homecoming court included freshmen Olivia Spiller and Griffin Caldwell, sophomores Belle Williams and Nick Shirley, juniors Gavin Nordquist and Hailey Vaughn, and seniors Katie Taylor, Jackie Bashore, Jillian Brown, Brad Dettwiller, Gabe Parsons and Michael Pfister. 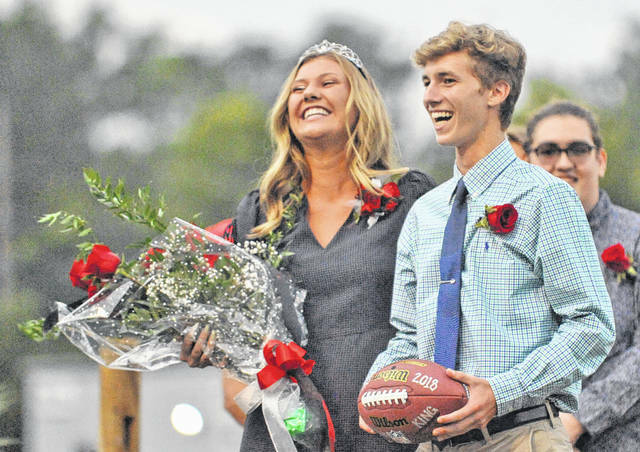 Josh Brown | Troy Daily News Tippecanoe High School’s 2018 Homecoming King and Queen, seniors Michael Pfister and Jillian Brown, were crowned during Friday’s football game. This year’s Tippecanoe High School Homecoming court included freshmen Olivia Spiller and Griffin Caldwell, sophomores Belle Williams and Nick Shirley, juniors Gavin Nordquist and Hailey Vaughn, and seniors Katie Taylor, Jackie Bashore, Jillian Brown, Brad Dettwiller, Gabe Parsons and Michael Pfister. Tippecanoe High School’s 2018 Homecoming King and Queen, seniors Michael Pfister and Jillian Brown, were crowned during Friday’s football game. https://www.weeklyrecordherald.com/wp-content/uploads/sites/51/2018/09/web1_court.jpgProvided photo This year’s Tippecanoe High School Homecoming court included freshmen Olivia Spiller and Griffin Caldwell, sophomores Belle Williams and Nick Shirley, juniors Gavin Nordquist and Hailey Vaughn, and seniors Katie Taylor, Jackie Bashore, Jillian Brown, Brad Dettwiller, Gabe Parsons and Michael Pfister.  https://www.weeklyrecordherald.com/wp-content/uploads/sites/51/2018/09/web1_tipp_jillianbrown_michaelpfister.jpgJosh Brown | Troy Daily News Tippecanoe High School’s 2018 Homecoming King and Queen, seniors Michael Pfister and Jillian Brown, were crowned during Friday’s football game.